The weekend came and went and lawmakers still haven't resolved the debt issue or the federal government shutdown. Investors weren't too pleased at first, but there are growing hopes that some progress will soon be made. Stocks fell Monday morning but turned higher by the afternoon following the news that President Obama and Vice President Joe Biden will meet with Congressional leaders Monday afternoon. The meeting was indefinitely postponed, but stocks held on to their gains amid signs that Senate leaders are inching closer to an agreement. The Dow Jones industrial average, S&P 500, and Nasdaq rose between 0.4% and 0.6%. The market enjoyed a big rally last week. The Dow gained 460 points over Wednesday, Thursday and Friday on expectations that a deal would be reached to temporarily raise the debt ceiling. Stocks have fallen as a result of the shutdown and debt ceiling drama, but they are not down that much from record highs. However, investors could grow more rattled as the week wears on if a deal isn't struck by Thursday. That's when the Treasury Department has warned it may run out of money to pay all government bills. "We believe this foolish game of chicken shows Washington lawmakers have a naïve sense of the economy and global markets," said Craig Johnson, technical market strategist at Piper Jaffray. Johnson said ongoing "saber rattling in Washington" will likely increase market volatility this week. But he continues to believe that "neither party in Washington is foolish enough to let the U.S. default on its debt." The U.S. bond market is closed Monday for Columbus Day. But the rest of the week could be bumpy. Investors have recently bailed out of short-term Treasury bills, sending yields spiking. T-bills are typically used by managers of money market funds as a risk-free means of stashing cash for short periods of time. 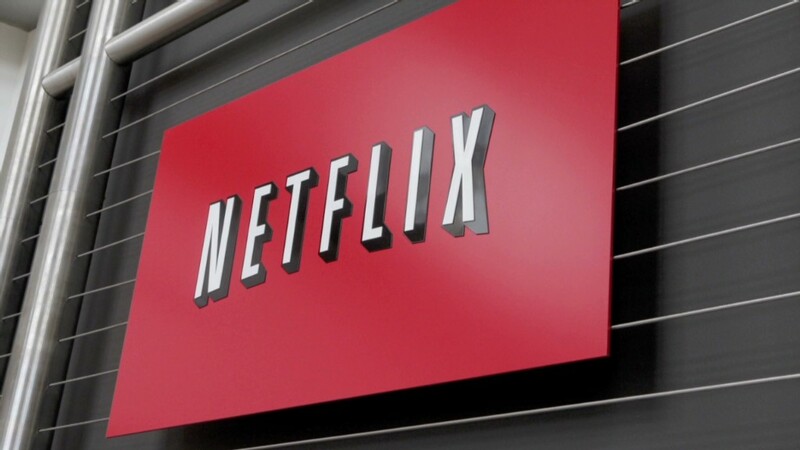 What's moving: Shares of Netflix (NFLX) jumped following reports that it is in talks with Comcast (CMCSA) and other cable providers to add its streaming video service as an app on set-top boxes. StockTwits user JeffReevesIP pointed out that "rural U.S. growth has potential for $NFLX" through an alliance with a cable company. Expedia (EXPE) shares took a tumble after being downgraded to hold from buy by Deutsche Bank, but most StockTwits traders remained bullish. "Buying $EXPE on the downgrade. Great earnings to follow," noted UBgrad. Whirlpool (WHR) shares also fell sharply. Analysts at Cleveland Research warned that the demand for appliances weakened last month, with shipments up between 5% and 7% in September, compared to 15% in August. But some traders were skeptical. "$WHR lol just spoke to another analyst who hears opposite of Cleveland research," said StockTwits user gemczar21. "So we shall see who's right." 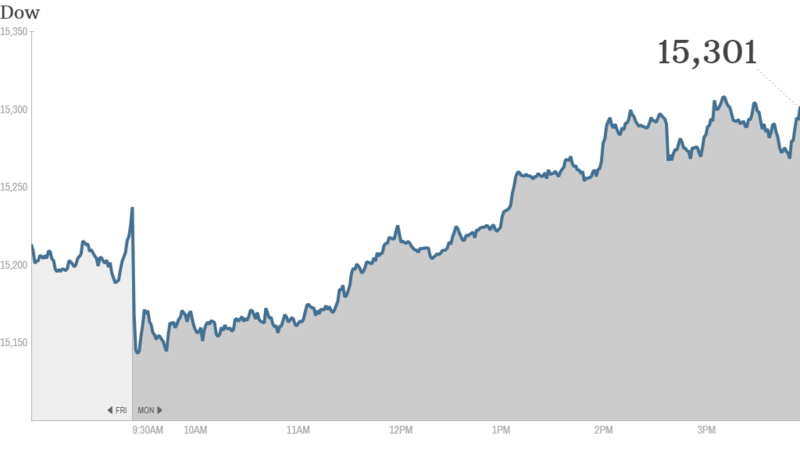 Facebook (FB) shares ended slightly higher. The company said it will buy Tel Aviv-based start-up Onavo, which focuses on mobile analytics. The details of the deal were not disclosed. The purchase also gives Facebook its first office in Israel. While traders seemed to still like Facebook's stock, they noted that the pressure in the broader marker makes it difficult to trade. "I like $FB LT but in this environment its hard to tell where this goes," said Sliver. "This week could be brutal for all stocks not just FB." World markets: European markets closed mixed, reflecting anxiety about the possible fallout from the U.S. political stalemate on the world economy and markets. Most Asian markets were closed Monday. But the Shanghai Composite index was open, and finished the trading day with a 0.4% gain.